SEC created new Office of Risk Assessment to help provide data-driven risk assessment tools and models to support a wide range of SEC activities. 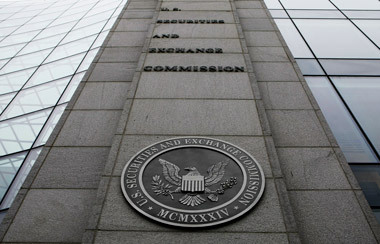 The Securities and Exchange Commission said Thursday that it has created a new Office of Risk Assessment to help provide data-driven risk assessment tools and models to support a wide range of SEC activities. The new office, to be housed within the Division of Economic and Risk Analysis (DERA), will initially be staffed by DERA employees as the division seeks a new assistant director to head it. Since its creation in 2009, DERA has collaborated with market experts throughout the SEC to develop risk assessment tools like the Aberrational Performance Inquiry, launched to proactively identify atypical hedge fund performance. This work led to eight enforcement actions and is one of the tools used by the Division of Enforcement to assess private funds. Similarly, DERA developed a broker-dealer risk assessment tool that helps SEC examiners allocate resources by assessing a broker-dealer’s comparative riskiness relative to its peer group. It also is working closely with the Enforcement Division’s Financial Reporting and Audit Task Force and the Division of Corporation Finance on developing a tool to assist in identifying financial reporting irregularities that may indicate financial fraud and help assess corporate issuer risk. DERA will continue to develop and use predictive analytics to support supervisory, surveillance, and investigative programs involving corporate issuers, broker-dealers, investment advisors, exchanges, and trading platforms, as well as support the SEC’s ongoing work related to the Financial Stability Oversight Council, the agency says.